Strivectin Advanced Retinol Pore Refiner * ($99) is a lightweight pore minimizing lotion with that improves cell turnover and delivers both instant and long-term visible pore reduction. Patented NIA-114 technology nourishes the moisture barrier to provide visible age fighting efficacy and limit the sensitivity common to Retinol. The combination delivers superior age fighting results, while purifying and refining skin tone and texture. Skin is left looking mattified, fresher and more youthful. Scientifically proven to: Refine the appearance of enlarged pores Purify, tighten and reduce the size of pores Absorb excess oil to control shine throughout the day Hydrate skin and help smooth skin texture. 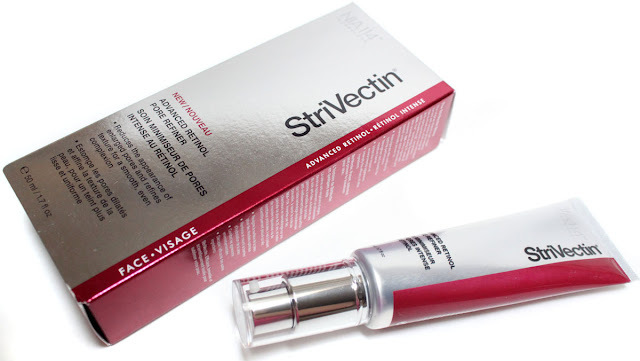 Never the brand to simply mask a concern, StriVectin set out to address the root cause of both shine and enlarged pores. This lightweight daily lotion smooths, mattifies, and delivers both instant and long-term improvements in the appearance of pores. I use it both AM and PM as the last step in my skincare routine. There is an immediate beautifing of my pores after a single application. This lotion is excellent because it acts as a pore primer and mattifier while also working to improve your complexion overall. Unlike most pore spot treatments it is lightweight on the skin. My makeup looks so much better over this lotion, no more foundation sinking in to places it shouldn't be. Along with tighter pores shine is minimized throughout the day. Downside, that price tag. At just under $100 a tube it is pricey. 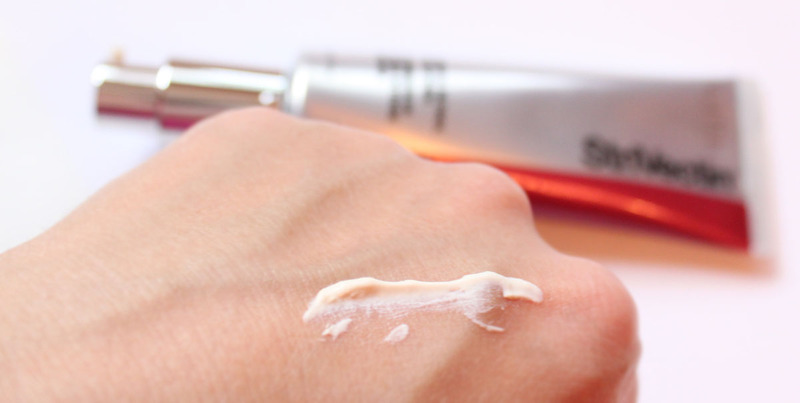 The fact that Strivectin Advanced Retinol Pore Refiner does double duty as a pore primer and an anti-aging treatment in one makes the price a bit more palatable. PoreDermabrasion™ Pore Perfecting Exfoliator reduces the look of enlarged pores and mattifies shine. Minimize pores while smoothing and evening skin’s texture with this dual-action formula. This exfoliator instantly works to deeply cleanse pores while it strengthens and tightens the look of pores by removing congestion- and clogging-causing impurities. 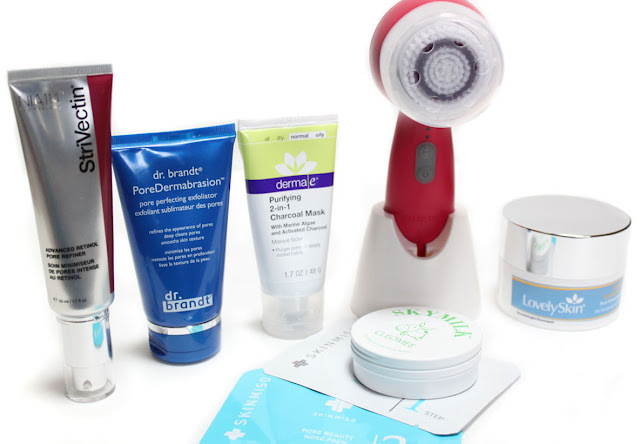 Your skin will look and feel smoother, more even, and shine-free. With super fine granules PoreDermabrasion exfoliates the skin but is also gentle enough to not cause irritation. Different than other exfoliators is that this one also targets the pores. It unclogs the pores while also giving a mattifying effect to the skin. If you tend to get oily this really nixes shine and leaves the skin with a smooth texture. 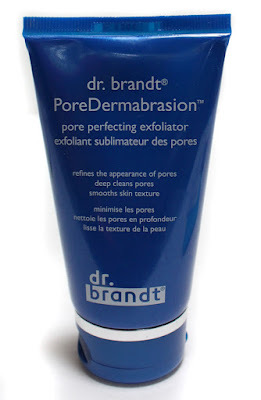 dr Brandt has a host of amazing products to target pores. 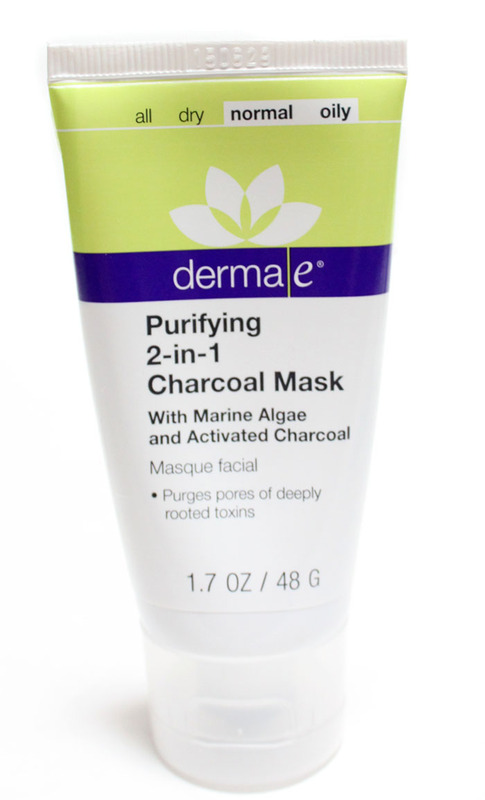 derma E Purifying 2-in-1 Charcoal Mask ($19.50) detoxifies skin of harmful micropollutants in two ways: (1) Natural clays infused with Kimarine® Wakame, Bladerwrack and Activated Charcoal lift out dirt, oil and bacteria to decongest pores as the mask dries; (2) Apricot Seed Powder exfoliates away dead skin cells and captured debris upon removal. Kaolin and Bentonite Clays absorb excess oils and impurities, relieving skin congestion. Kimarine® Wakame is a potassium-rich, magnesium-rich seaweed that is clinically proven to protect skin against environmental pollutants (exhaust fumes, cigarette smoke, heavy metals). Bladderwrack is an antioxidant-rich, mineral-rich seaweed known for its water-binding properties, supporting healthy skin hydration and nourishment. Activated Charcoal, known for absorbing 100 to 200 times its weight in impurities, purges pores of deeply rooted toxins, then Apricot Seed Powder gently exfoliates away micropollutants. Ideal for oily, active or urban skin types, even safe for reactive skin (minimal ingredients and allergy-tested). 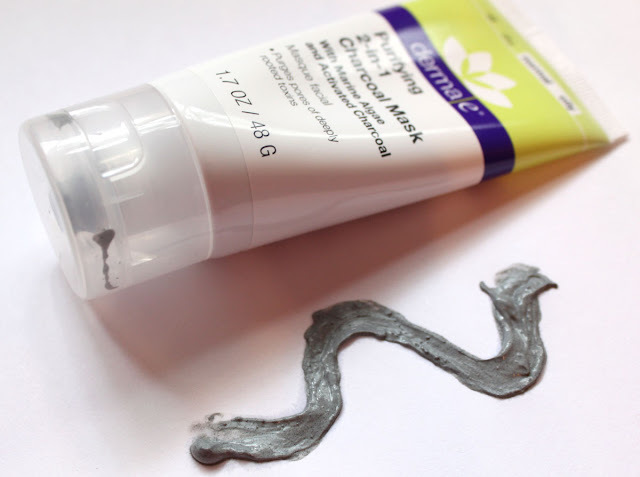 This mask is my GLAMGLOW TinglexExfoliate Youth Mud dupe. 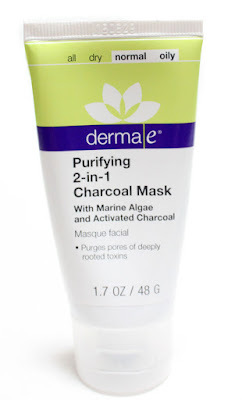 I was drawn to this mask being a fan of the amazing detoxifying powers of charcoal, both in health and beauty. Finding out it was just as effective as my favorite mask that was 3x the price was the cherry on top. Pores are obliterated with this mask. It is a powerful detoxifying mask that deep cleans and exfoliates while purging toxins. Skin is left feeling clear and deeply cleansed and I appreciate the natural ingredients that dermaE uses. Made with pumpkin extract and salicylic acid, LovelySkin Pumpkin Clarifying Mask uses an enzyme formula to dissolve dead skin cells that are clogged deep within pores. This mask loosens blackheads and whiteheads to remove impurities. Removing this debris will regulate oil production to keep your skin from appearing shiny and reduce the look of enlarged pores. This formula also contains antioxidants that protect skin from free radicals. You can use this paraben-free treatment once or twice a week along with your other acne products to promote a clear complexion. When I want a mask treatment that is a little less drying I use the Clarifying Pumpkin Mask by LovelySkin. This mask smells so yummy like a pumpkin milkshake. It has 5% Pumpkin Enzyme for exfoliation while papaya and salicylic acid loosens debris and dead cells in pores. The texture is light and comfortable. After leaving it on for 20 minutes my pores are rid of congestion and my skin is less oily in trouble spots. LovelySkin Clarifying Maks is great for an acne regimen too. I really enjoy using this now that the weather is cooler, it isn't drying and smells like the Holidays! Korean Beauty is always a good start when searching for pore products. 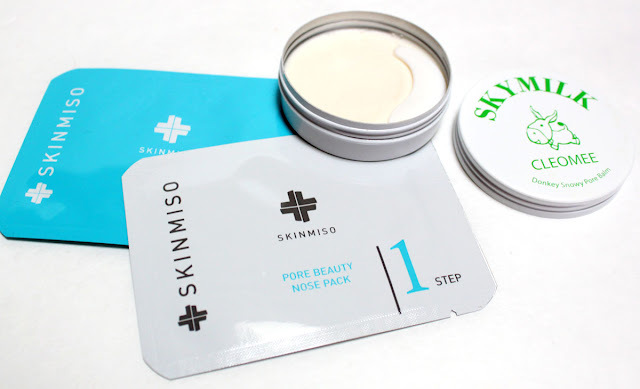 SKINMISO Pore Beauty Nose Back Korea's number one selling Pore Pack. The two-step process works better than any Biore pore strip. The first mask extracts blackheads & whiteheads.The second is applied to soothe and calm and the pore essence acts as a primer. I love the clearing effect this has on the nose and it is much more gentle than ripping off a strip. Admittedly I was hesitant about trying something with the ingredient Donkey Milk. There is even a cartoon donkey on the front...everything about it felt so wrong! 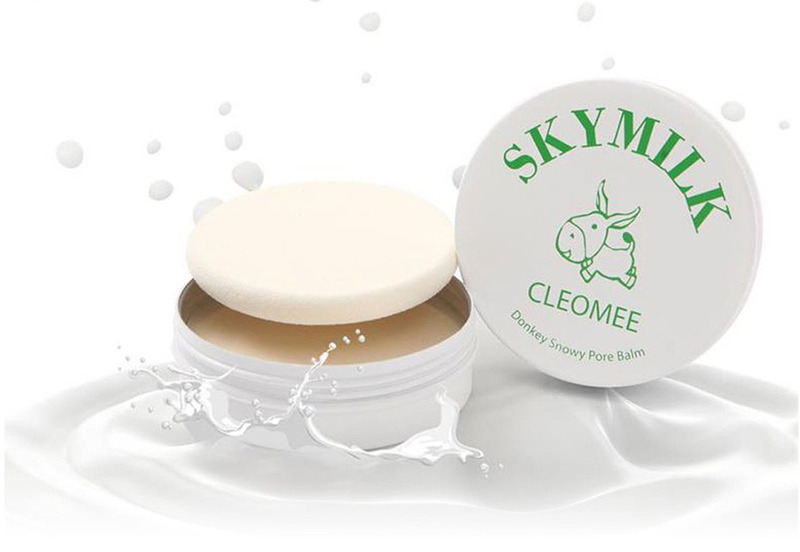 SKYMILK Cleomee Donkey Snowy Pore Balm ($25) is so amazing that it is worth being weirded out by. Patting the pressed balm on to your face instantly minimize pores and mattifies the skin. The texture is so light that it almost feels like nothing is being applied on to the skin. The effect is incredible though! Instantly erasing pores, shine, and reducing redness. My makeup looks better, skin is less shiny throughout the day, and there is no extra makeup buildup from applying powder. I can even forgo foundation it does such a brilliant job at perfecting the skin. Donkey Snowy Pore Balm came in my September Korean Beauty MishiBox so I have no idea where to get it otherwise, if you do let me know! Who knew Donkey Milk was the secret to beautifully matte skin? Michael Todd Soniclear Petite Antimicrobial Sonic Skin Cleansing Brush-Tutti Frutti * ($99) is the world's first antimicrobial sonic cleansing brush with built in protection that inhibits up to 99.9% of stain and odor causing bacteria so your brushes stay cleaner, fresher longer for up to 6 months. 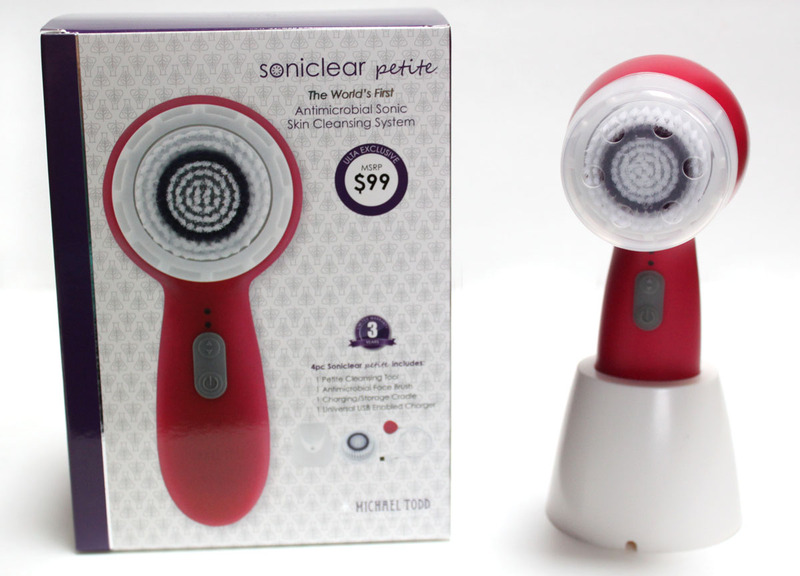 Soniclear Petite standard features include: 3 Customizable Speeds, antimicrobial face brush, built in timer, built in memory, 100% waterproof, charging/storage cradle, universal USB enabled charger and 3 year manufacturer's warranty. After having two Clarisonic's that died on me I switched over to this facial cleansing brush from Michael Todd. 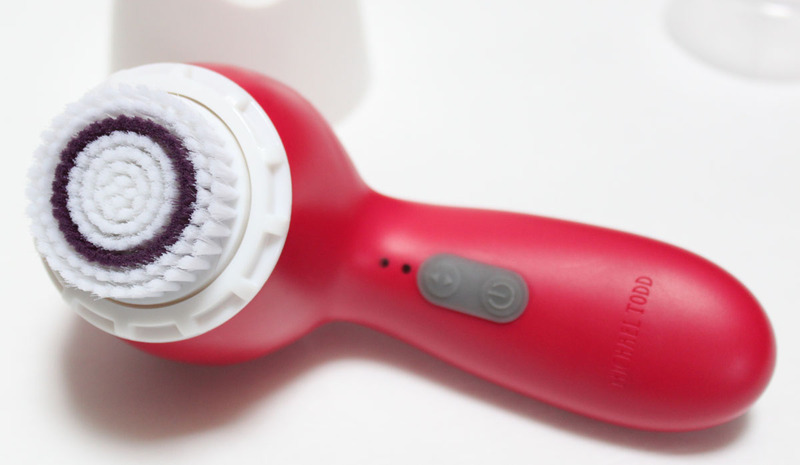 The brush has three speeds to cleanse, exfoliate and lift makeup, dirt and oil trapped in your pores. 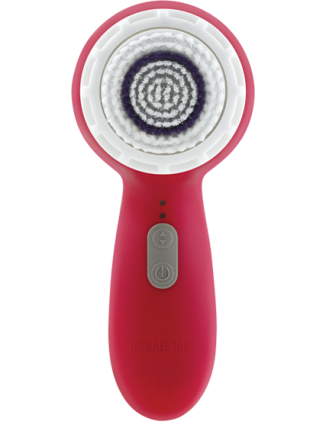 Soniclear has been just as effective for me if not better than Clarisonic because I have not broken out from it. The brush is gentle enough for daily use even on sensitive skin. I also like the small size which is easy for travel and the convenient USB charger. Using a skin brush cleans your skin so much more effectively than just washing alone. When I use this brush nightly I notice such a difference in how clean my skin feels and it makes my skincare products more effective. Incorporating pore targeting products in to your skincare routine through cleansing, masks, and exfoliation is a combination for successfully improving a pore problem. Also, Check Out how you can get great skin from the inside through Juicing!